The Hyundai Motor India ltd is owned by the Hyundai Motor Company of India. It was formed by Hyundai Motor company of South Korea on 6 May 1996 and grew to be the 2nd largest automobile manufacture in India. For the people who like the sports effect in their lives, can opt for the new Hyundai I10 Sportz 1.1 Petrol. With the sporty hatchback, it has a posh yet spacious arrangement. 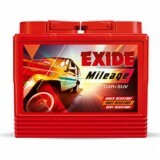 The engine 1.1L iRDE 2 provides 69 ps max power. Mileage is 19.8 kmpl while the fuel tank capacity is around 35 liters. The high tech suspension system makes it compatible for flexible and smooth ride no matter what are the road conditions. Moreover, under the margin of 5 lakhs, this can be the best sports hatchback car at the most affordable range. One will always yearn to keep their precious belongings in the same condition as they purchased. But it is difficult to maintain the longevity always. But to keep things running for long, one should be careful with the requirements and maintenance. Well your car would need your attention more in this case and thus we http://www.everyonechoice.com/ hop in to help. 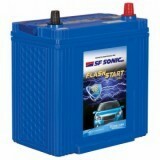 We deal in the purchase of reputed car batteries and give the best amongst all. 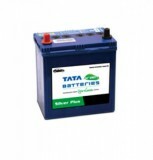 While making a purchase you should keep in mind to buy the batteries from repute merchants like us who give you the best facilities along with your purchase. As you sit back comfortably in your seat and do the order, we get it delivered at your doorstep for free. Well problem in installing? We will do the installment even for free. So make this opportunity worth it now as you make online purchase of Hyundai I10 Sportz 1.1 Petrol batteries at the cheapest price in India.